LA CIOTAT (13600): Setting campaign on the heights of Fontsainte for this beautiful property sea view facing south, it consists of a main villa of 250m 2 with swimming pool and 150m 2 of annexes (games room, workshops, jacuzzi, bedroom independent, garage) all on more than one hectare flat and entirely closed with drilling. 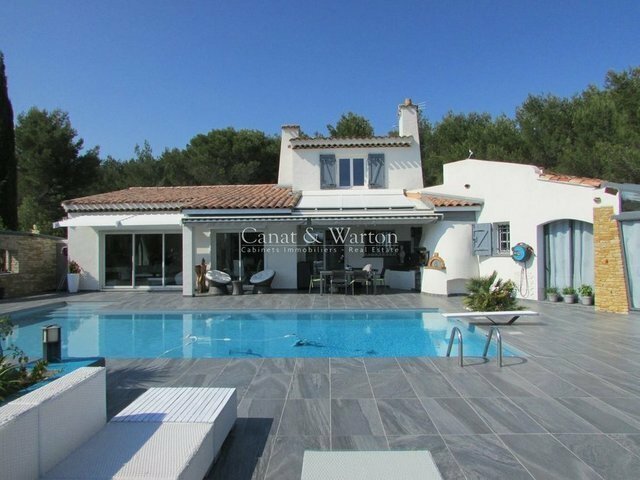 Villa: fitted kitchen open to living room, 4 bedrooms, one suite with shower room, terrace (19 m2), office with separate access. laundry. Pétanque field, barbecue, pizza oven. Property full of potential, in a privileged environment, without vis-à-vis.